"The Boot Buster" by The Boot Rack Company, presents the perfect answer to every mother's footwear woes. No more boots, shoes and wellingtons piling up on the floor or struggling to keep the back hall tidy. 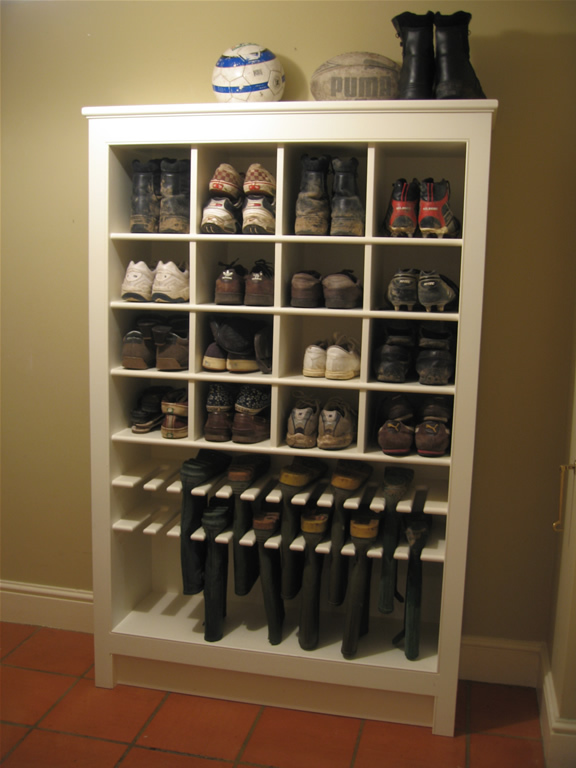 A simple, elegant and tidy solution to a very untidy problem. ......Kids!